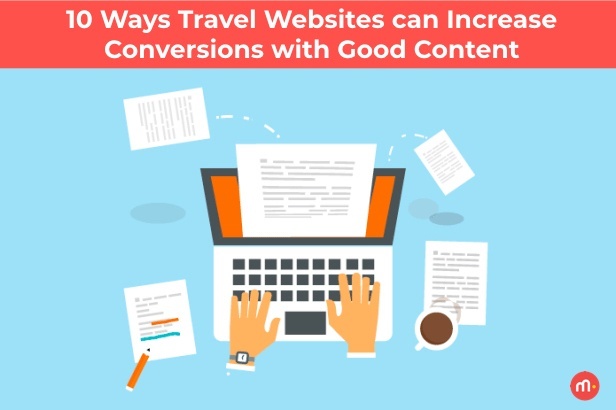 Having engaging, clearly communicated written content is one of the most important ways travel websites can draw users in, keep them on the site, and ultimately move them through the funnel and encourage action, i.e. a booking or sale. From strong calls-to-action to eye-catching headlines to enticing descriptions of destinations and activities, content on travel sites plays a key part in the overall user experience. Guide your users through the browsing and booking funnel with strong, short, clear Call-to-Action buttons that directly align with the action you want them to take at that point in their journey. While it may be tempting to get creative with CTAs (for example, “Say Yes to Your Next Vacation” instead of simply “Book Now”), this is not the place for ambiguity or playfulness. Your users should not have to spend one second contemplating what they’re being asked to do, so reserve any creative or prosaic copy for other parts of your site where your brand voice can really shine, like descriptions of destinations or activities, details of special offers, or even when you’re creating catchy slogans, taglines, and headlines for your offers or services. The first priority when you’re creating or optimizing your travel website copy should be writing for clarity, only then followed by things like brand voice, style, persuasive copy, or SEO. But first and foremost all copy across your site (and all digital channels, for that matter) should never be confusing to your users in any way or present any kind of an obstacle or barrier for them as they continue to engage with your site. Users are picky and highly sensitive to anything that is not intuitive, instantaneous, and easy to understand. If they have to “work” to understand your site or your messaging through poorly written copy, they’ll very likely abandon your site for a competitor who has a much more pleasant user experience and clear, easy-to-comprehend content. On top of paying attention to the quality and clarity of your site’s copy, you also want to be strategic about the amount of copy you include across your pages and sections. While you want to make sure the site’s copy fully informs users of their options throughout the booking funnel and is enticing enough to inspire them to take action and book, travel sites with too much copy can frustrate users and seem overwhelming and disorganized. Travel consumers in particular like to “dream” or imagine their destination when they’re browsing and booking, so make sure that you have an appropriate balance of inspiring images or multimedia content along with written copy. Whether you’re creating or optimizing your website’s copy with an in-house team or contracting with an outside agency, this is the point when you need an especially skilled and experienced digital copywriter to use both qualitative and quantitative data and insights to craft content that is persuasive, enticing, and delightful and that is targeted to your brand’s unique user profile or personas. This is a strategic process, but it’s also highly creative, and a good copywriter will know how to represent your brand’s voice while writing clear, strong copy that not only informs users, but also excites them, persuades them to keep engaging, and motivates them to convert. Ultimately, this ability to attract users and drive sales and revenue with enticing copy is the key to successful digital copywriting. This is especially relevant if you have multiple teams or people contributing content to the site over time. First, establish clear content guidelines and share with everyone who has access to the site’s content. The guidelines should include not only brand guidelines and how you communicate your site’s value to consumers, but also the more technical aspects of copywriting like style and formatting. Copy should be consistent and standardized across the entire website, even down to the smallest details. A period here or a comma there may seem like small potatoes compared to things like your checkout funnel or search fields, but an overall disregard for inconsistent content will eventually result in a site that looks “messy” and amateurish. Strong website copy should always communicate in a tone and style that reflects the brand identity. Sophisticated and formal? Fun and lighthearted? Edgy and innovative? Content should align with your brand voice at every single touchpoint with users to increase the likelihood that they will 1) identify with your brand, services, and unique value prop and 2) become loyal brand evangelists who return to your site for every trip. Convey a sense of urgency in your travel site’s content, whether in CTAs, headlines, or descriptive or creative copy. But be careful not to mislead users by creating an inauthentic sense of urgency. For example, don’t over-use phrases that indicate scarcity or limited time to act when in fact, the product is not scarce and there is no time limit to book – they can spot untrustworthy “sales-y” copy a mile a way, and this is a sure-fire way to sour them against your brand. A good copywriter will be able to convey a sense of urgency throughout your booking funnel without breaking your user’ trust, crafting persuasive calls-to-action that urge the user to act quickly. Website content is both a sales and marketing tool because it is your brand’s way to communicate your value and services to users, motivating and guiding them to book, reserve, engage, or purchase. Today’s users are highly sensitive to any misleading copy or content that is overtly pushing for the sale and nothing else. Especially when making large purchases or booking leisure trips, travel consumers don’t want to feel like they’re being misled, hoodwinked, “sold to,” or that they’re missing key information they need to make their decision or move to the next stage in the sales funnel. For travel sites, honesty really is the best policy. Although your copywriting team should have a clear SEO strategy for your site’s content, they also should be writing for real, live human readers first, then implementing things like high-ranking keywords or phrases only when it makes sense. Website copy that is optimized for search engine results must first contain relevant, useful, information-rich content, with appropriate keywords that blend in naturally with the rest of the content. Rodríguez San Pedro, 2 10a Ofic.